The best way to go at the moment in the world of fashion and hairstyles is to have a hipster haircut. It has been around for long now and has come back in a very stylish and up to the minute way. This haircut gives you a new look which is pleasing and is sure to boost your self-confidence as it keeps you way up, going higher and higher in the fashion ladder. What then is so unique about this hairstyle? The hipster haircut involves short cut hair on the sides and longer hair at the top. The short sides could be styled as a taper; either a low, mid or high taper, fade; either a little fade, mid fade or a high fade, or as an undercut. The top hair is left more extended, and there is no limit to how long it can be kept. 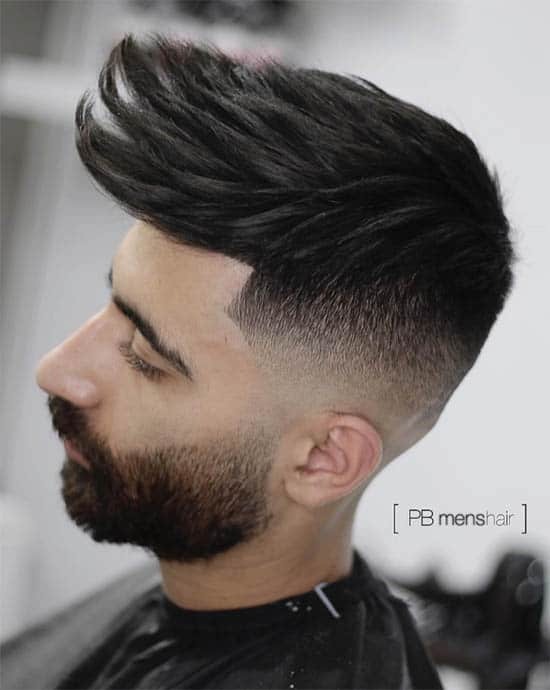 The length gives you the liberty to style as you wish and you could choose to go with any of the top styles like the pompadour, quiff, classy man bun, a comb-over, beautiful sleek back and so on. The list is just endless. Hair pomade for men; this has a high shine finish, and it’s great for all types of hair. Alpha hipster best-completed beard kit for men; contains all you need to care for your beard. Maverick essentials; it’s a beard and mustache elixir for thicker, fuller and faster hair growth. Stache bomb; gives your mustache a healthy glow and appealing appearance. Voltaire air magic texturizing spray; gives volume to your hair. Every man jack; this is sure to give your hair a high shine and soft hold. Let me now take you to the world of classiest and trendiest hipster cuts.